Free Excellent Military Thriller of the Day! ***Any Means Necessary (a Luke Stone Thriller-Book #1) by Jack Mars. Price: Free. Genre: Military Thriller of the Day, Sponsor, Political Suspense, Political Thriller. Rated: 4.4 stars on 100 Reviews. 256 pages. ASIN: B019BILG2W. Reviewers love it: I was pleasantly surprised by this very well written book! What a terrific thriller! This is an excellent start to a very exciting series! Non stop action and entertainment! Great job, I would love to see this on the big screens! 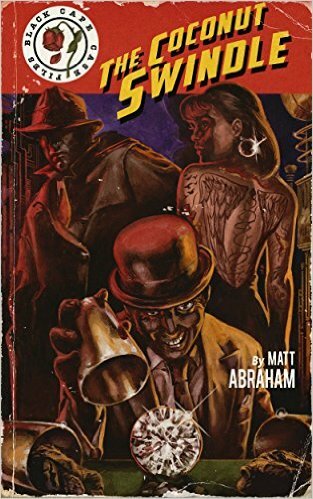 *The Coconut Swindle (Black Cape Case Files Book 2) (Deal, Not Free) by Matt Abraham. Price: $0.99. Genre: Mystery Deal, Sponsor, Noir, Pulp, Superhero, Hard-Boiled Mystery, Superheroes, Murder, Private Investigators, Genetic Engineering. Rated: 4.8 stars on 33 Reviews. 246 pages. ASIN: B01CDMP0X4. Reviewers love it: Electrifying and funny! What a gripping read! The end of the book was so beautiful and magical and so sad that it brought tears to my eyes. This was very well written and the description of what happened leapt off the page! Fantastical, mind spinning rave of a novel! 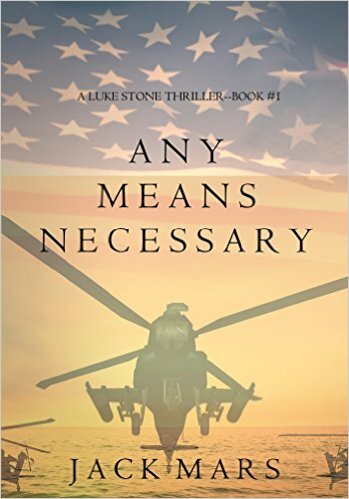 ***Any Means Necessary (a Luke Stone Thriller-Book #1) by Jack Mars. Price: Free. Genre: Military Thriller, Sponsor, Political Suspense, Political Thriller. Rated: 4.4 stars on 100 Reviews. 256 pages. ASIN: B019BILG2W. Reviewers love it: I was pleasantly surprised by this very well written book! What a terrific thriller! This is an excellent start to a very exciting series! Non stop action and entertainment! Great job, I would love to see this on the big screens! *Double Blind (The Kate Benedict Series) by Carrie Bedford. Price: Free. Genre: Mystery, British Detectives, Suspense. Rated: 4.7 stars on 29 Reviews. 264 pages. ASIN: B0141TCH4C. *The Cuban Sanction by J Thomas Stovall. Price: Free. Genre: Suspense Thriller, Thriller. Rated: 4.6 stars on 14 Reviews. 305 pages. ASIN: B00LRYFT7W. *Reason for Existence (Deal, Not Free) by Richard Botelho. Price: $0.99. Genre: Visionary Thriller Deal, Sponsor, Metaphysical & Visionary, Adventure. Rated: 4.6 stars on 41 Reviews. 200 pages. ASIN: B017KRJ66E. Reviewers love it: This is a beautiful blend of philosophy, spirituality, romance and action in the backdrop of science fiction. It made me to sit down and think! It is easy to read and deep at the same time. I was so captivated by it! A lot of thought went into this book. I would highly recommend it as a must read! *The Stages by Thom Satterlee. Price: Free. Genre: Mystery, Suspense Thriller. Rated: 4.3 stars on 66 Reviews. 386 pages. ASIN: B00AQA6JJ0. The Cinema Murder by E. Phillips Oppenheim. Price: Free. Genre: Historical Mystery, Suspense. Rated: 4 stars on 14 Reviews. 224 pages. ASIN: B01AGVRUIW. Vinland (The Cape Cod Mystery Series Book 1) by T Hunt Locke. Price: Free. Genre: Historical Mystery, Suspense. Rated: 4.1 stars on 7 Reviews. 160 pages. ASIN: B016E3X2C4. Professional Murder by R.J. Scriber. Price: Free. Genre: Psychological Thrillers, Suspense, Psychological. Rated: 4 stars on 5 Reviews. 314 pages. ASIN: B017MTTFT8.